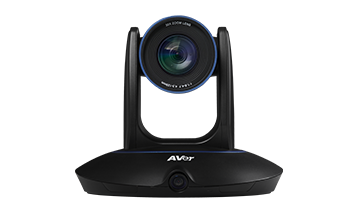 AVer PTZ310/330 Professional Lecture Cameras give you the premium video quality and versatility you need to record or share your presentation and teaching events around the world. Designed for providing you an exceptional user experience, the PTZ310/330 bring numerous quality-of-life benefits to your lecture including highly versatile motion control, superior Fast 3A efficiency, vivid color representation, and an up to 255 camera preset function to cover every location. 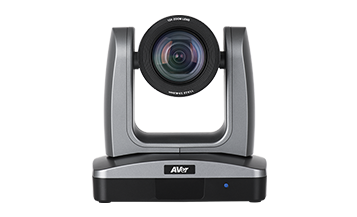 Using AVer’s renowned quality manufacturing processes, the Professional Lecture Cameras are built to be durable and reliable and with our industry leading 3+2 year warranty program we make sure that AVer is always there with the support you deserve. AVer’s professional tracking camera is ideal for all kinds of applications. Crystal-clear images, powerful PTZ cameras, wide-angle visual panoramas and, most importantly, absolute high tracking accuracy are all what AVer can definitely ensure. From lectures in classrooms; preaches in churches; trainings and big events in workshop spaces to speeches and performances in auditoriums, AVer makes applications of tracking cameras achieve higher recognitions by enabling users to broadcast, live stream, record, and store high-quality videos of different activities.